A portion of the 1.5 mile Shinnery Ridge Trail is paved and wheelchair accessible. The park's fishing pier is a wheelchair accessible hard surface from parking to pier with an ADA approved grade (depending on water levels). Cabin #9 has these wheelchair accessible features: a raised fire ring, 36-inch width door, and a hard surface parking with a route to the site. 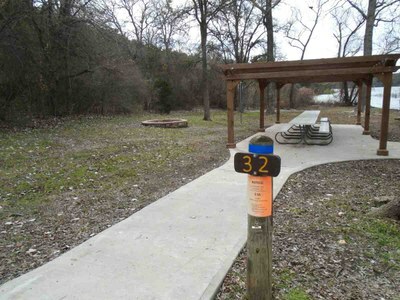 The Group Camp is not fully ADA compliant but the picnic tables and grill/smoker are wheelchair accessible from the parking area.